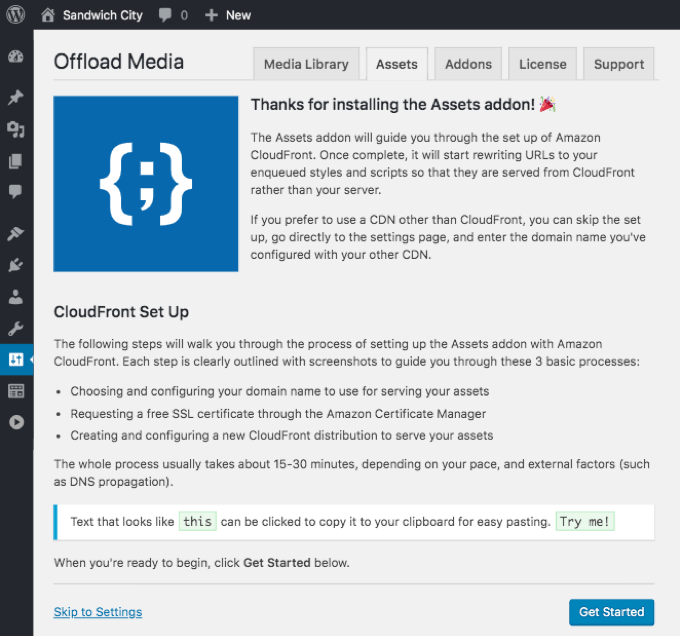 Successfully setup a Amazon CloudFront for my CDN using @bradt & @dliciousbrains AWS and CloudFront plugins. 20 mins, start to finish. 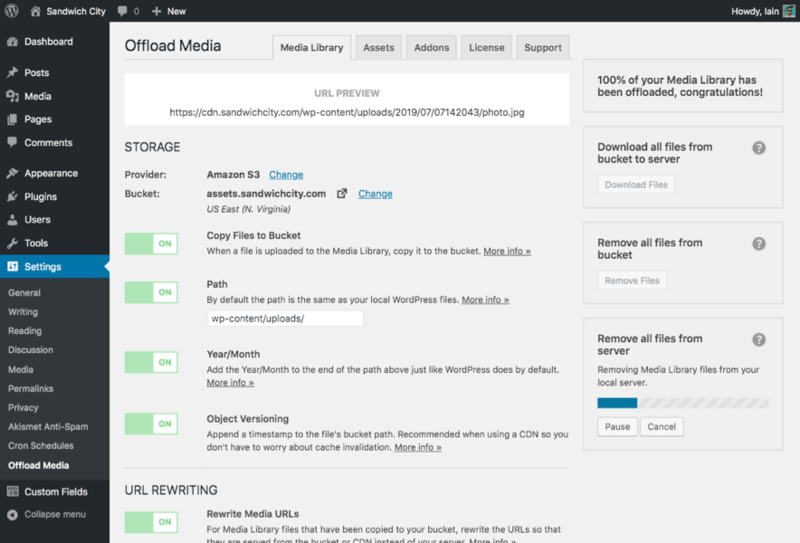 Just bought the brand new "WP Offload Media" from @dliciousbrains. What an awesome piece of software—great work guys. 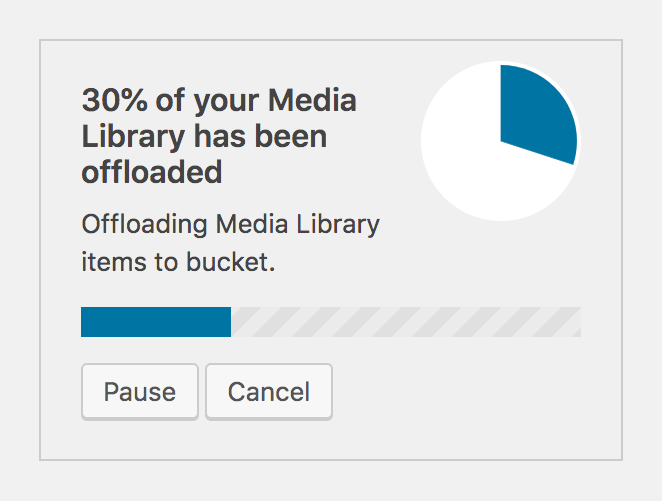 I'm using Offload Media Pro by @dliciousbrains on — This thing is coded like a BEAST. A must-buy solution. 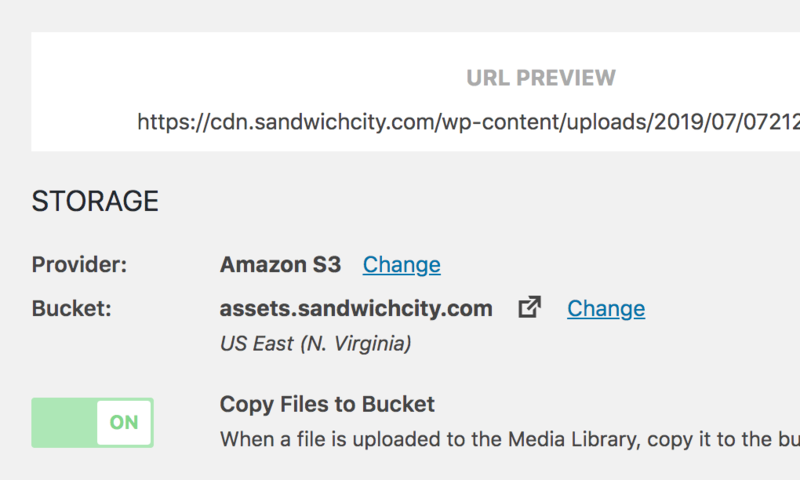 WP Offload™ Media (formerly WP Offload S3) copies files from your WordPress Media Library to Amazon S3, DigitalOcean Spaces, or Google Cloud Storage and rewrites URLs to serve the files from that same storage provider, or from the CDN of your choice (like CloudFront). 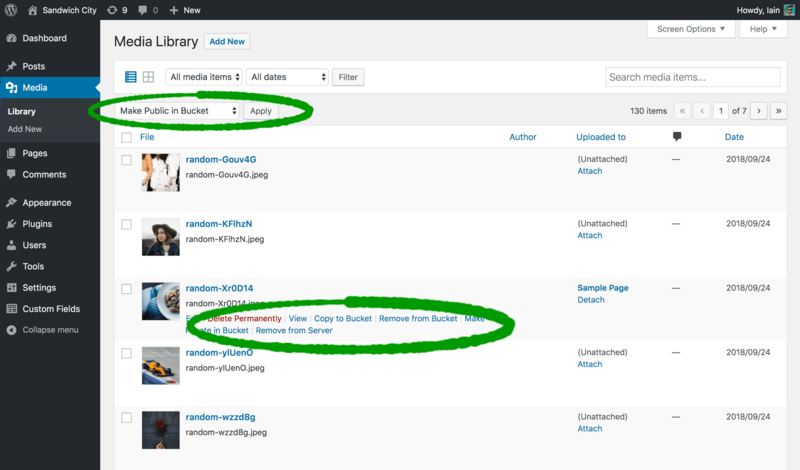 And with the Assets addon, WP Offload Media can identify assets (CSS, JS, images, etc) used by your site and serve them from your preferred CDN. Great plugin, great support. What a perfect little plugin. I really enjoy when I don't have to write something from scratch. Works just as intended, and friendly support to boot. 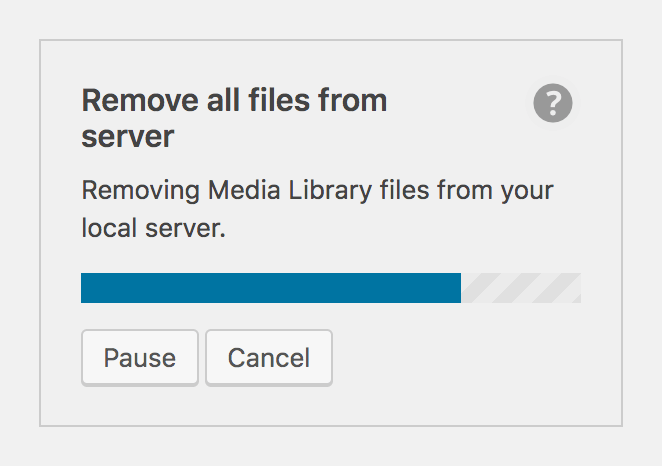 Your server no longer has to serve images, CSS, JS, videos, PDFs, zips, and other files. It can focus all its resources on processing PHP and serving WordPress pages faster. Images, CSS, JS, fonts, and other files will download faster, speeding up page load time. CloudFront and other CDNs are designed for exactly this. In a 2010 study, Akamai found that 57% of visitors will abandon a page if it takes 3 or more seconds to load. 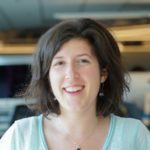 The faster a page loads, the happier the visitor, the more likely they'll stick around, click through to the next page, and buy a product or submit a form. Google is obsessed with speed and since 2010 they've included page speed as a signal in their search algorithms. 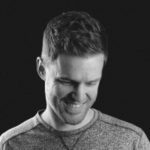 So by speeding up the load time of your pages, you can improve your position in search results, driving more organic traffic to your site, and increasing conversions and sales. 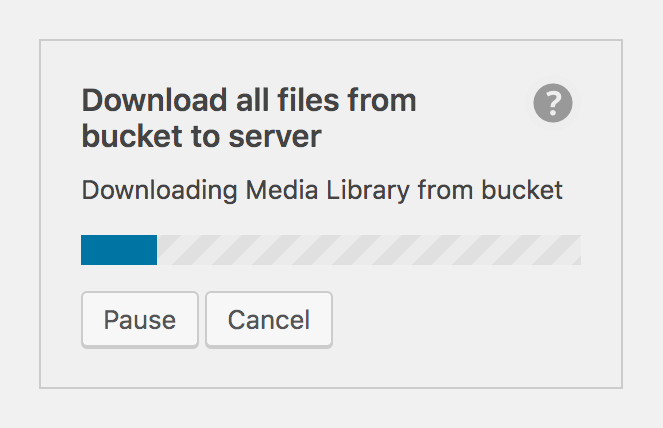 Start uploading and watch it progress. Want to work from the coffee shop? Hit Pause, then Resume when you get back to the office. Need to reboot? Just Cancel and start it again later. It will pick up where it stopped. 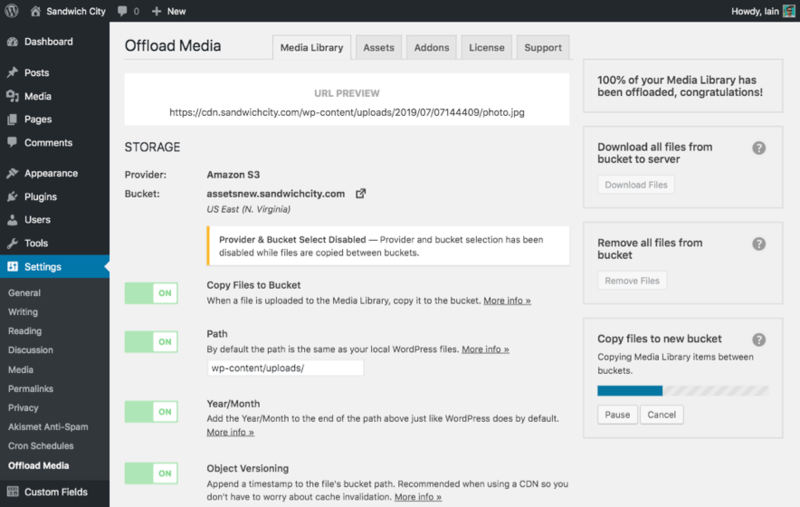 We've sprinkled controls throughout the Media Library making WordPress feel like it has native support for Amazon S3, DigitalOcean Spaces, and Google Cloud Storage. 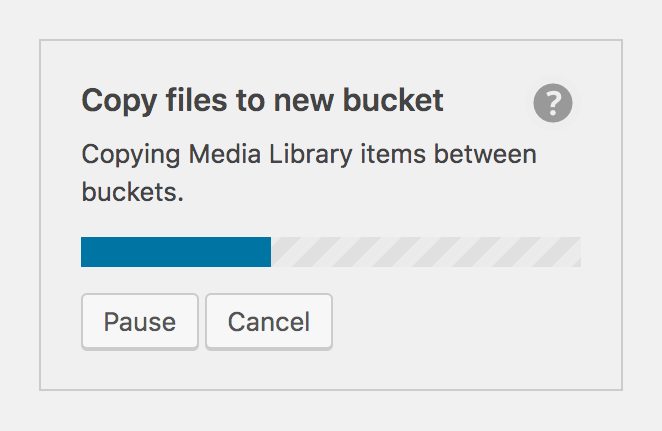 You can bulk select files and choose to copy them to cloud storage, remove them from cloud storage, or copy them back to the server from cloud storage. 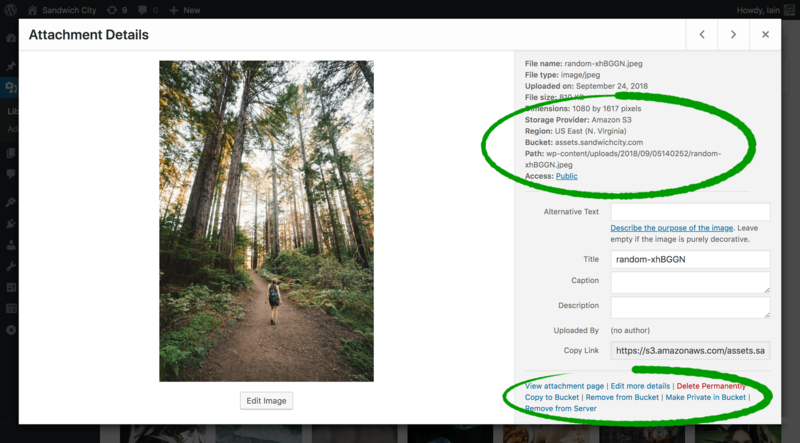 Or you can view a single file, review its cloud storage details, copy it to cloud storage, remove it from cloud storage, and if the file is missing on your server, copy it from cloud storage. 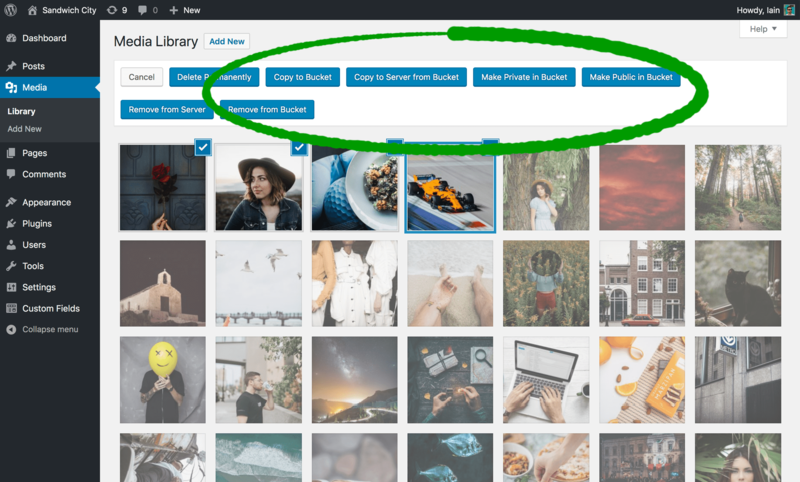 You can even toggle public/private cloud storage permissions without ever leaving the Media Library. We've put a lot of effort into organizing our settings screen, making it a pleasure to use. From the custom ON/OFF switches, to the URL preview, to the titles and copy, everything has been carefully thought out. 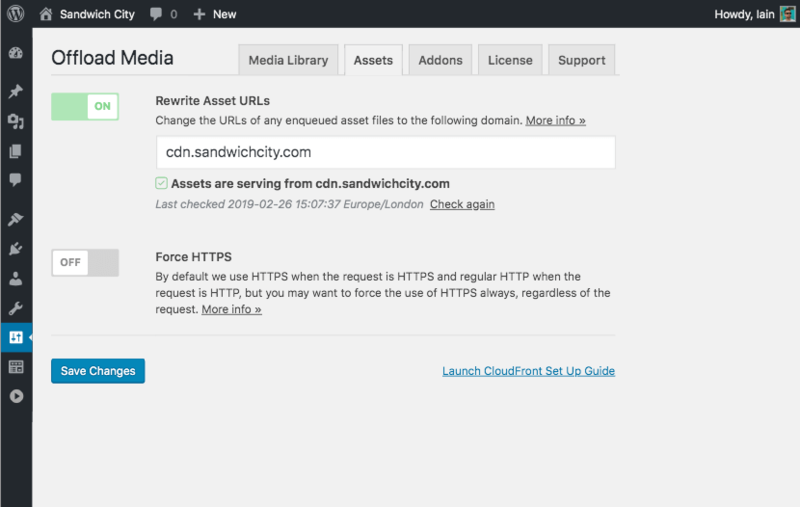 With the Assets Pull addon you can start serving your site’s assets (CSS, JS, fonts, etc) from a CDN like CloudFront in just a few clicks. 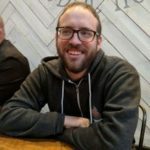 The addon contains a setup wizard which will walk you through the process of creating a proper CloudFront distribution for serving your assets using your own domain name. 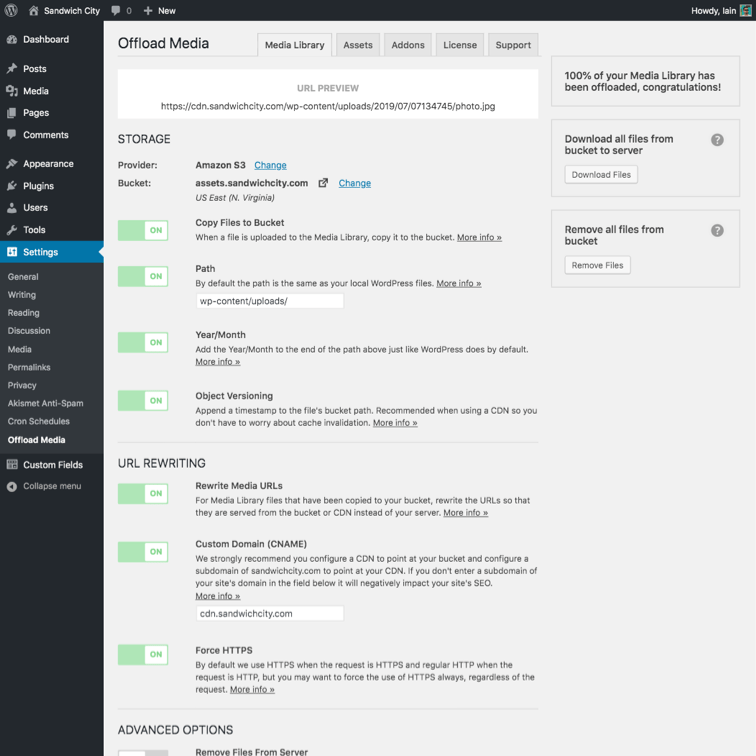 WP Offload Media is designed to work with the following third party plugins out of the box. 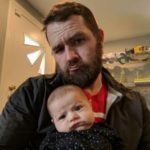 I've installed this plugin for basically all my WordPress sites as it allows you to completely store the actual content of your site in a separate location. 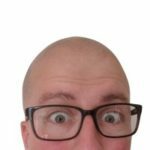 It also relieves your php server from having to serve up all those PDF files and images.